Pierce Waste Handling Systems are very experienced when it comes to helping solve your waste disposal and recycling equipment needs. Our range of Waste and Recycling equipment combine high performance with durability and efficiency, while ensuring our customers meet health and safety legislation. 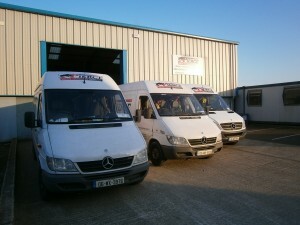 We also offer full support and back-up through our experienced service department. We also specialise in the re-furbishing and re-conditioning of all makes and models of compactors and balers. Where required we offer this service to our customers where we can remove their equipment from site to our workshop for re-furbishing.